President Trump’s changes to U.S. policy toward Cuba went into effect November 9, dialing back some of the allowances for Americans to travel to Cuba. When President Trump announced the plan for these changes in June, he said he was “canceling” the deal made by President Obama. However, many of the allowances initiated between November 2014 and 2016 will remain, including the rules that pertain to cigars. Below are some guidelines to what these changes mean to Americans who wish to travel to Cuba. I’m an American citizen. Can I still buy Cuban cigars? Yes, Americans can still buy Cuban cigars and bring them back to the United States. To learn more, check out Frequently Asked Questions: The New Rules on Cuban Cigars. Can I still buy Cuban rum and bring it back to the U.S.? That depends on the rum. The Obama-era allowances on bringing back Cuban rum for personal consumption remain in place, but two Cuban rum brands were placed on the restricted list. Ron Caney and Ron Varadero are now off limits to U.S. consumers. The island’s major brand, Havana Club, and Santiago (a Cigar Aficionado favorite) are still OK to buy. I’m an American. Will I still be able to travel to Cuba? Yes, but it will be considerably harder than before. It’s been illegal for American tourists to travel to Cuba ever since the U.S. imposed its full embargo on the island nation in 1962. The Obama-era changes, though, made traveling there far easier. President Trump has cut some of those allowances. Notably, Trump has put an end to individual people-to-people travel, which allowed Americans to travel to Cuba and keep their own agenda. This system was the easiest legal way to go to Cuba as an American, with one Cuba expert describing it as “the honor system on steroids.” The days of Americans keeping their own agenda on trips to Cuba are gone. Group people-to-people travel, where an American joins a trip organized by a tour group that operates “under the auspices of an organization that is subject to U.S. jurisdiction that sponsors such exchanges to promote people-to-people contact,” according to the U.S. Treasury Department, will remain legal. These are trips American to to Cuba that include meetings with Cuban locals. Specifically, according to the Treasury Department, these trips “must maintain a full-time schedule of educational exchange activities that are intended to enhance contact with the Cuban people, support civil society in Cuba, or promote the Cuban people’s independence from Cuban authorities, and that will result in meaningful interaction between the traveler and individuals in Cuba.” People-to-people travel has been the easiest way for an American without family in Cuba, or who is not a journalist, to travel legally to Cuba. How can an American legally visit Cuba? There are 12 categories: 1) Family visits, 2) official business of the U.S. government, foreign governments, and certain intergovernmental organizations; 3) journalistic activity; 4) professional research and professional meetings; 5) educational activities (which includes people-to-people travel); 6) religious activities; 7) public performances, clinics, workshops, athletic and other competitions, and exhibitions; 8) support for the Cuban people; 9) humanitarian projects; 10) activities of private foundations or research or educational institutes; 11) exportation, importation, or transmission of information or informational materials; and 12) certain authorized export transactions. But I have already planned my trip under the old guidelines. Can I still go? It depends. If you made a transaction for a trip (for example: purchasing plane tickets) authorized under the old guidelines prior to the announcement of President Trump on June 16, 2017, your trip can proceed. “Consistent with the Administration’s interest in avoiding negative impacts on Americans for arranging lawful travel to Cuba, certain people-to-people travel that previously was authorized will continue to be authorized where the traveler had already completed at least one travel-related transaction,” says the Treasury Department. Are Americans not allowed to stay at certain hotels? Yes. Hotels that are controlled by groups that appear on the Cuba Restricted List are now off limits to Americans. 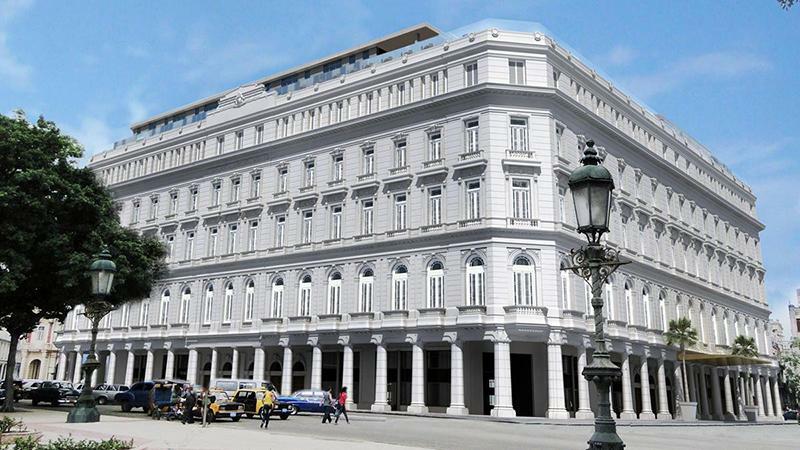 Those hotels include the luxurious new Gran Hotel Manzana Kempinski in Havana, which is the home of a new Cohiba Atmosphere, and the Conde de Villanueva in Old Havana, which has a Casa del Habano cigar shop, and Ambos Mundos in Old Havana. While Americans are free to visit these hotels, they are not allowed to conduct any financial transactions within them. This includes purchasing cigars. Click here for a full list of restricted hotels. Will enforcement on Cuba travel stiffen after this change? Absolutely. “Our new policy begins with strictly enforcing U.S. law,” said President Trump back in June. That means more scrutiny for travelers returning to the U.S. from Cuba. Multiple news sources reported that Americans who travel to Cuba under the 12 authorized categories might face Treasury Department audits. Keeping a journal of your itinerary while in Cuba on an authorized trip, and saving that journal, is essential. What about the Cuban embargo? That remains in effect, and ultimately out of the hands of the president. “Any changes to the relationship between the United States and Cuba will depend on real progress,” said President Trump. “When Cuba is ready to take concrete steps to these ends, we will be ready, willing and able to negotiate….a deal that’s fair…and a deal that makes sense.” The President of the United States can’t end the embargo. It can only be removed via an act of Congress.